Our story begins at a school, the children are of a similar age and includes boys and girls. The bell goes and the children pour down the stairs and into the playground. One pair of boys appear to be the local bosses although you would not describe them as bullies. One of them has a new watch and is proudly showing it off. When two of the girls make fun of him, he makes a move towards them, only to be intercepted by a small boy called Junket. Boston, the taller of the two challenges Junket to a race, during which Junket collides with Mr. Potter the science master. 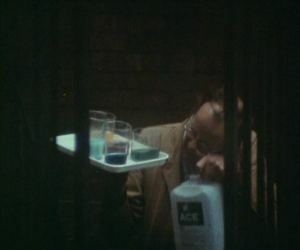 Mr. Potter was carrying chemicals on a tray (health and safety would have a field day here!) 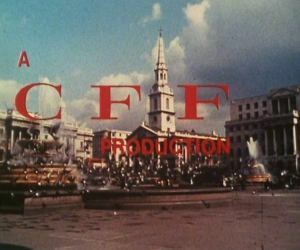 and the resulting collision makes them fall resulting in a huge cloud of orange smoke. Junket is naturally blamed and must come back after school. Junket is not pleased especially when Burns makes fun of him and so a fight breaks out between the two nasty boys and Junket and his pal O'Fred. 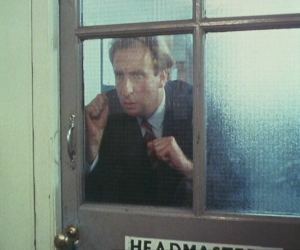 The Headmaster's head appears out of his office window and shouts for them to stop. He then asks who started the fight and Junket and his pal get the blame. The other (Boston and Burns) two will be dealt with later. 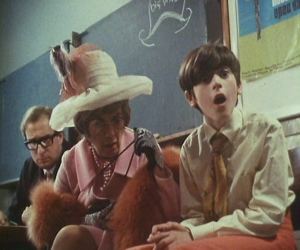 Junket and Fred go to see the Headmaster and as they open the office door, the door knob falls off. They try to fix it but fail. The Headmaster is oblivious to all this and when he dismisses the boys, they leave, shutting the door behind them. The Headmaster cannot now get out of his office. He opens a window and leans out calling to Dot and Molly to fetch a ladder as he has an important guest arriving - Mrs. Trowser-Legge. The girls do as they are told and bring a ladder and place it under the Head's office. The school bell then rings and the girls leave for classes. The Headmaster descends only to put his foot in a bucket at the bottom just as he sees his important guest arrives. The guest in question is Mrs. Trowser-Legge and her son Thomas. She is wanting to place Thomas in a good school as she has found other schools wanting. Thomas is not happy with his mother making such a fuss all the time. Inside the Head's office he invites them to take tea with him. 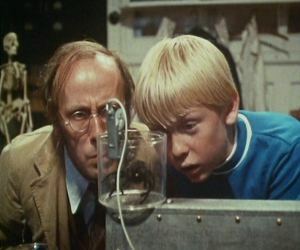 Downstairs in the science room, Mr. Potter is showing Junket his new invention. The device is a matter transporter and can move objects anywhere in space. 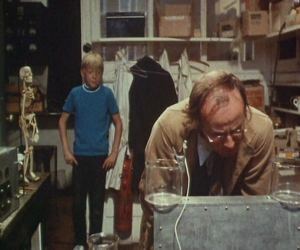 Mr. Potter attempts to show the device working by transporting a toy spider from one beaker to another. At first it vanishes but does not appear in the other beaker. 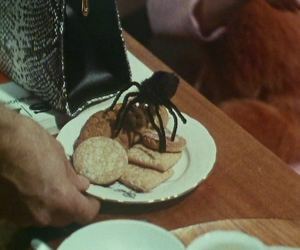 Instead it appears on the plate of biscuits the Head is about to offer Mrs. Trowser-Legge. 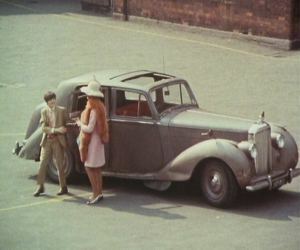 She screams the place down and then the spider mysteriously vanishes, once Mr. Potter finds the problem with the device. 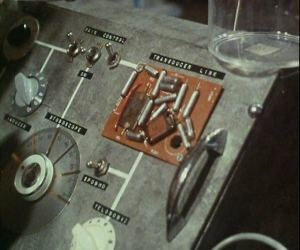 With a little help from Junket, in the form of chewing gum, the device now appears to work perfectly. Mr. Potter then shows Junket the retrieval device which is in the form a cricket ball with a shiny button. He then moves onto other problems and does not really notice when Junket asks if he could borrow the device for a little testing. Mr. Potter agrees and Junket exits the room with the teleportation device in hand. 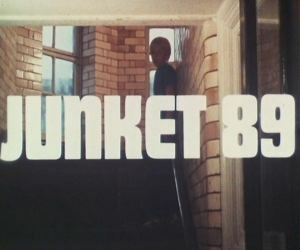 He goes to his school locker - number 89, and places the device inside. He then climbs inside and after some hesitation, he activates the machine. He instantly finds himself outside in a huge grassy field. He can hear wild animals at large and so puts the cricket ball down on the ground, whilst he goes and has a look. Suddenly a Rhino sees Junket and charges him. Junket is in Africa and suddenly realises that he does not have the retrieval device. He runs quickly towards where he left the ball and only just in time does he reach the ball to activate the recall. The device sends him back to the school locker. He is very lucky to escape the Headmaster who is on the warpath after the incident with the spider. The next morning, Junket arrives at school an hour early to use the machine. He is seen by Dot who is doing her paper round. Junket changes the dial controls and then activates the device. 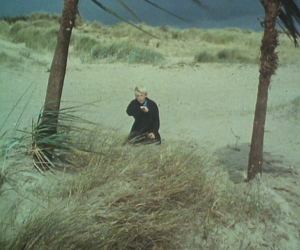 This time he appears on a beach in the middle of no where. 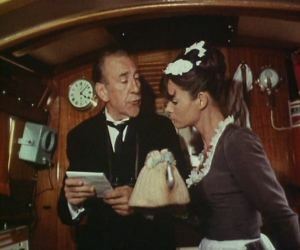 On a nearby boat two servants receive a telephone call from their employer who informs them of his son's imminent arrival and instructs them to do anything he asks as he has been ill of late. Brigitte, the maid, looks through a port-hole and sees Junket believing him to be the boy. Sprocket, the butler goes up on deck to see if he can spot the arriving youngster. The pair both see Junket and believe him to be the boy, the telephone call mentioned. They row to shore and begin offering him food and comfort. 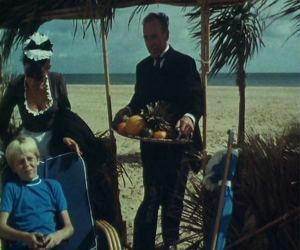 Junket eagerly accepts the offer of pineapple and grapes and makes himself comfortable in the beach chair. He is so relaxed on the warm sand that he takes his shoes and socks off. Pretty soon though, Junket realises he has been there too long and so activates the return button the cricket ball. Junket returns just in time to hear his name called out at the register. He walks to his seat but everyone is astonished as he has no socks or shoes on. 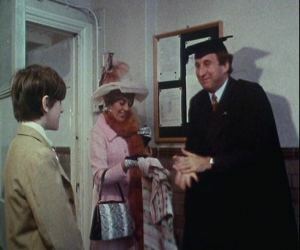 Eventually the Headmaster introduces Mrs. Trowser-Legge and her son and then informs the class that they will be receiving a generous donation by the mother. 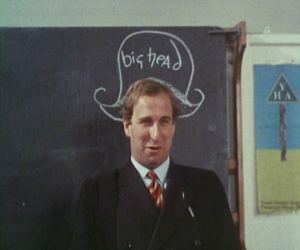 The Headmaster does not realise that he is standing in front of the chalk board on which one of the children has been busy drawing. Unfortunately for poor Thomas, his mother mentions her pet name for him - Boofles. The Head master then reminds Boston and Burns to remain behind as he wishes to see them concerning the incident yesterday with Junket and Fred. 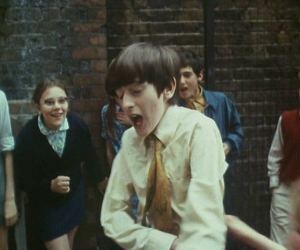 Outside in the playground, Boofles is being picked on by the school children and he is not very happy.